“Mercedes-Benz means luxury.” But style and comfort are not the only services that Mercedes-Benz provides. While high fashion cars are exciting, this company also recognizes the importance of giving back to one’s community. 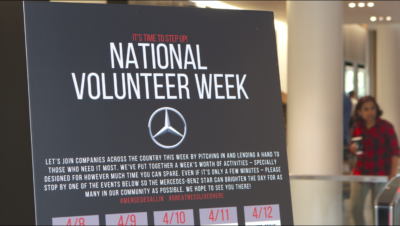 For National Volunteer Week, Mercedes-Benz coordinated their very own Corporate Volunteer Week. 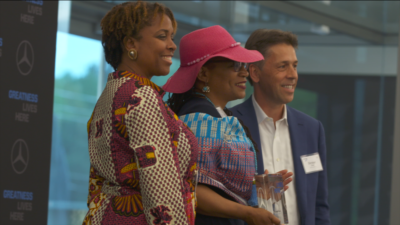 They worked to give back to the community of Atlanta by encouraging employees to participate in a number of community service projects held at their headquarters. 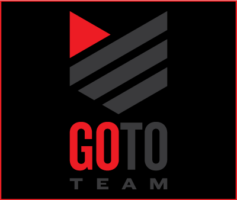 Go To Team’s Atlanta DP, Nate Silverman, was there to capture it all. 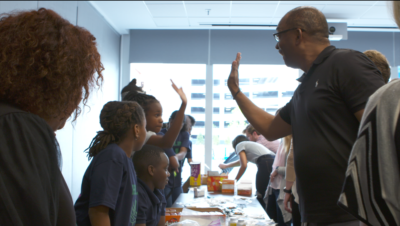 Mercedes-Benz employees bagged lunches and backpacks for the homeless. They played whiffle ball to raise money for underprivileged kids to be able to play baseball. They cycled on stationary bikes to donate money to an organization that provides kids with bikes of their own. Mercedes-Benz employees even climbed a rock wall to send kids to summer camp. At the end of the day, everyone gathered to honor both the organizations that participated and the heroes who inspire these organizations. Silverman used an F5 camera to capture all the extraordinary moments of this event. 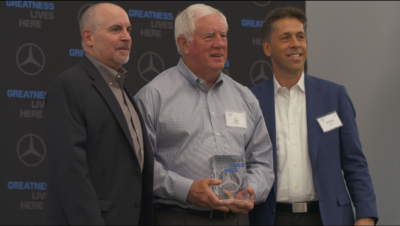 Collaborating with Mercedes-Benz on this project was a dream come true for our crew. This shoot truly captured the importance of giving back to the communities we live in.